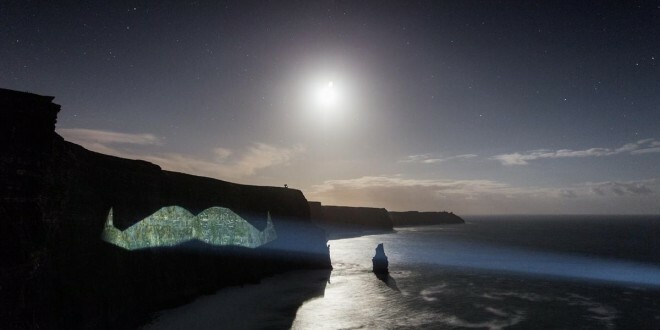 Launching Movember 2014, a 200m x 600m moustache is projected onto the Cliffs of Moher. Photo by David Olstoorn. The Cliffs of Moher were the iconic canvas for a vast image of a moustache recently, as part of the launch of Movember. 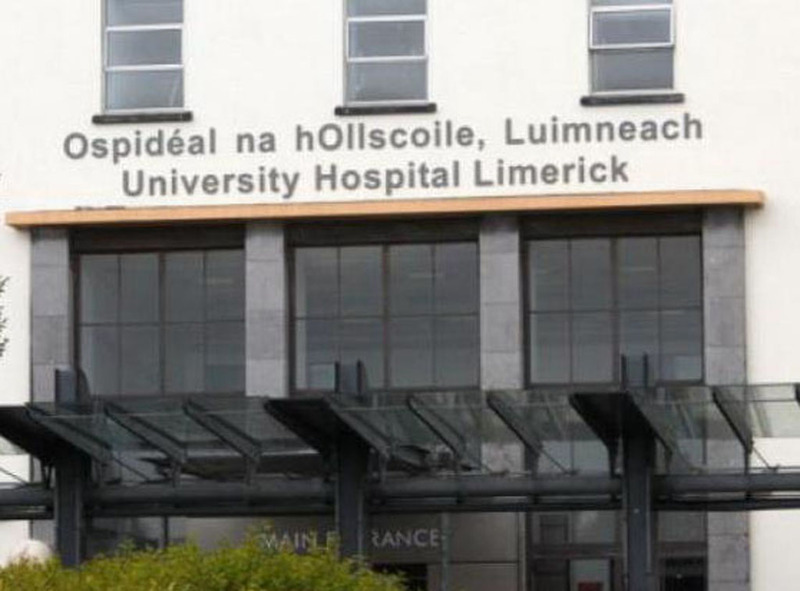 Over 3,000 men are diagnosed with prostate cancer in Ireland each year and one in eight Irish men will be diagnosed with prostate cancer in their lifetime. Now in its seventh year, Movember is a month-long campaign to raise money and awareness of men’s health. This year Movember created The Cliffs of Mo-her, officially the biggest Mo ever. Live for just one hour last week, the giant Mo measured 200 metres high by 600 meters wide as it was projected on one of Ireland’s most iconic natural landmarks. Following weeks of planning with the local community of surfers and photographers, the Movember Ireland team travelled to Clare to project the epic symbol on the cliff face to encourage Irish men to register and grow at www.movember.com. Movember Ireland Country Manager Neil Rooney said, “This year we wanted to go big and what’s bigger than the world’s largest moustache? The Giant Mo is a call to action for all our Mo Bros and Sistas all over Ireland to register, grow and donate to help change the face of men’s health”. Katherine Webster of the Cliffs of Moher Visitor Centre said that while they were not responsible for idea or the projection staff at the centre were delighted to make Movember the charity of the month. “We were not involved in the Cliffs of MO-her Movember projection ahead of time and cannot take any credit for the idea. However, we were contacted after the fact by the organisers and the guys from Movember.com and have been working with them to push the story on social media and online channels. As a result and by staff request we have made Movember our charity of the month at the visitor centre and hope to do our small part in the drive to change the face of men’s health. The Cliffs of Moher Visitor Experience is being signed up as a Mo-Bro on the Movember website,” Ms Webster said. The month long fundraiser involves men around the world starting November clean shaven and growing a moustache. Men register at Movember.com at the start of the month and have 30 days to grow their moustache. The money raised in Ireland goes to the Irish Cancer Society and the Movember Foundation’s global research initiative GAP.